Quick ship of industrial big utility fan / blower sets - packaged utility fan ventilators, compact radial fan blowers and scroll cage centrifugal utility fans, tubeaxial and vaneaxial inline duct fans, explosion proof utility ventilator sets, spark resistant axial duct fans, blowers, utility fan ventilators. Industrial high pressure turbo blowers, radial fans, regenerative and positive displacement super high pressure blowers. Utility fans are are backwardly inclined and forward curved belt driven centrifugal ventilators used for general ventilation whith ducts. Applications includes exhausting plant air, cooling and fresh air supply, forcing air through plenums to air furnaces, dryers and gas ovens. Engineering of through the wall exhaust fans, airflow exhaust ventilators, fume hood exhaust fans, roof / wall supply blowers, paint booth ventilation fans, high pressure air blowers, air pressure blowers, high temperature air blowers, rotary air blowers, air fan-blowers systems, roof blowers, roots blowers, oven / dryer exhaust ventilators, heavy-duty ventilation fans, spray booth exhaust fans, New York blowers, Dayton fans, Chicago blowers, American Coolair ventilators, ACME ventilators, Twin City fans, Aerovent fans, Cincinnati blowers. 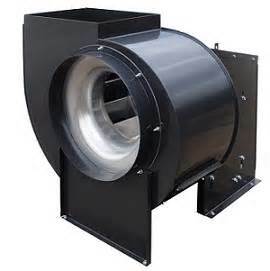 Canada Blower FTFA axial flow fan is designed for clean air HVAC applications. The Canada Blower FTFA fan features high strength adjustable pitch cast aluminum ventilator blades that can be individually adjusted. This allows for easy system balancing or adjustment for unpredictable duct losses. It also permits changing fan characteristics to match changing job conditions. Since the ventilator blades can be changed in pitch approximately 35°, a wide variation in fan performance is possible ventilating.com fanblower.com highpressureblower.net industrialblowerfan.com industrialfanblower.net industrialfanblower.com pressureblower.net northernindustrialsupplycompany.com industrialpressureblower.com tenderall.com chicagoblowercanada.com cbblower.com buffaloblower.com buffalofan.com nis-co.com canadianblower.com olegsystems.com canadablower.com abbblower.com acmefan.net industrialblower.net fansandblowers.net americanblower.net barryfan.com cincinnatifan.net canadafans.com barryfan.net pennbarry.net pennfan.net tcffan.com. Canada Blower is a world wide distributor of industrial process ans OEM fans and blowers, as well as fan components; including high pressure blowers, high temperature fans, spark resistant and explosion proof ventilators, tubeaxial and vaneaxial high pressure ventilators. Canada Blower also does existing fans and blowers repairs, re-build, as well as dynamical wheels balancing.